When one thinks of ghosts and hauntings, one is perhaps most likely to conjure up images of dilapidated old houses, abandoned, feral buildings, lonely rural roads, or dark, sinister forests. Yet it seems that ghostly phenomena are not confined to merely this common notion of what haunted places should be. At times, there come such cases from the far flung corners of the world that may not match the traditional ideas of hauntings, and one such place is certainly the Himalayas. 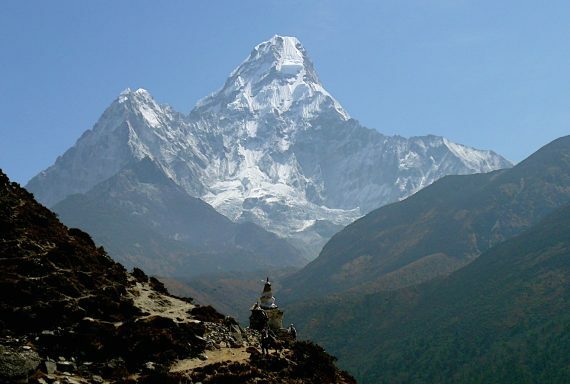 The Himalayas is one of the most well-known mountain ranges in the world. Located on the Indian subcontinent, the Himalayas are home to nine of the ten highest mountains on earth, including the mega mountains Everest and K2, among others. And while this range may be well known for mysteries such as the Yeti, it is not a place typically associated with ghosts, yet here in the cold wilds there are accounts of specters and entities just as spooky as anywhere else. It should come as no surprise that such a rugged, sprawling wilderness of snowy valleys and soaring peaks has become firmly entrenched in the folklore and mythology of the local peoples. It is also believed to be a place of ghosts. Indeed, the Himalayas have long been seen by the native Sherpas as the realm of numerous spirits, gods, and ghosts. It is believed by the Sherpas that anyone who dies in the mountains here without a proper burial are doomed to forever wander as restless spirits, and such ghosts are thought to be so numerous in the mountains that locals often worry that if someone is late to return home it means they have encountered one of these lost wraiths, which are sometimes said to attack or possess the living. There is also a great fear among the Sherpas of dying out in the wilderness on their own, lest they too be denied a proper burial and become one of the damned. If some of the stranger accounts of weird phenomena and ghost sightings in the Himalayas are anything to go by, this may not be so far from the truth. There would certainly be plenty of these restless spirits to go around. The Himalayas have long been a magnet for the adventurous, pulling in those brave souls who would attempt to conquer this wild place, push forth into the clouds, and mount its nearly inaccessible peaks. Unfortunately, many of those who push out into these frigid expanses never come back to tell the tale. 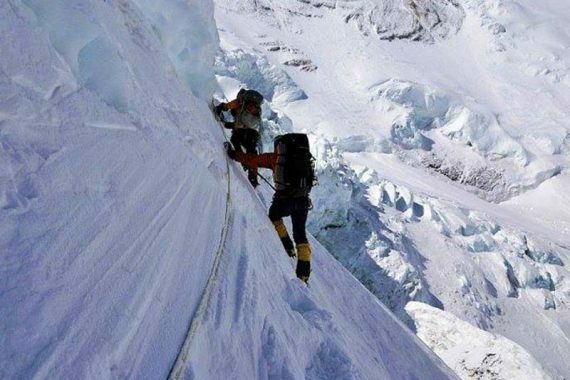 Hundreds of people have died trying to climb mountains such as Everest, and the death rate for trying to climb Everest and K2 hovers at around 25 to 33%. In most cases the remote, harsh conditions here have made retrieving the bodies impossible. Most of those who die here are doomed to remain, their corpses becoming frozen parts of the windswept landscape perhaps forever, and most certainly not granted a proper burial by any stretch of the imagination. So many bodies litter the landscape here that it is not uncommon for climbers to come across a long forgotten, frozen carcass in the wilderness, especially on Everest’s Northeast Ridge, and the bright clothes adorning these corpses have caused this macabre, high altitude cemetery to be nicknamed the “Rainbow Valley.” In most cases, there is not much anyone can do for the abandoned corpses they stumble across here, perhaps offering a small prayer before pushing on into the mountains and their own potential demise, leaving the body to remain there forever preserved in the cold. 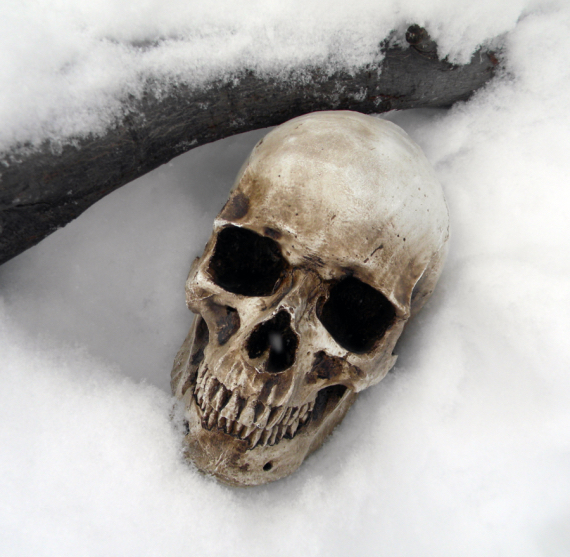 Sherpas who find such corpses will usually perform a death ritual in an effort to ease their lost souls. 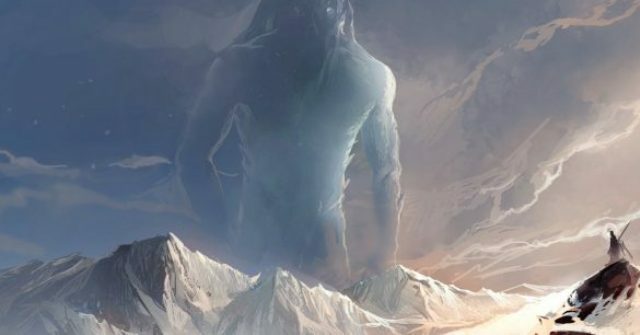 Considering all of these bodies and the Sherpa legends, is perhaps not surprising that there have long been reports brought back from explorers here of experiencing decidedly supernatural phenomena. One common type of ghostly activity often reported from the Himalayas is that of encountering shadowy figures that wander through the hostile landscape. One such account was given in 2004, by a Sherpa named Pemba Dorji, who had been with an expedition ascending Mt. Everest. He claimed that as he was climbing in his approach towards the summit he came across a group of scattered corpses in the snow, with one of them actually still dangling from a rope fastened to the rock wall. 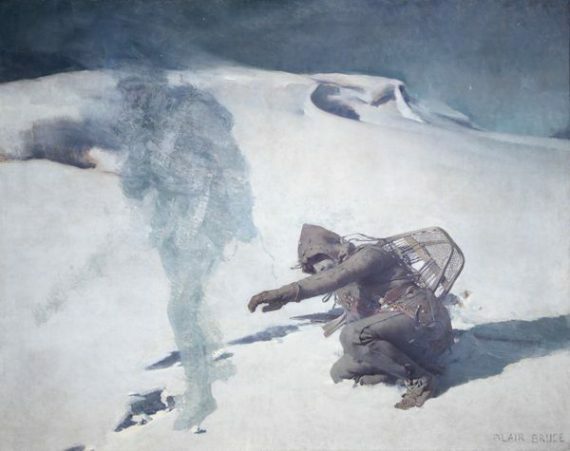 As he approached the bodies, the Sherpa claims that he was suddenly surrounded by a group of dark, shadowy figures, which approached him with arms outstretched and begging him for food. He did not stay around long enough to interact with the phantoms, but claimed that he believed they were the spirits of the dead climbers he had found. These alleged spirits are not usually described as particularly evil or malicious, and indeed are most often reported as asking for help or in contrast offering it, acting as guides for the lost, warning of impending danger, or giving comfort to climbers in dire situations. In one account from 1975, two members of a British expedition named Dougal Haston and Doug Scott claimed that at one point during their trek they had been extremely low on provisions and caught up in relentlessly severe weather just below the summit of Everest. Fearing for their lives, they dug a snow hole and waited for the worst. As they cowered there deep in the snow, freezing to death and starving, they claim that there was suddenly the presence of a third climber in there with them, and that this ghostly form gave advice, comforted them, and talked them through their perilous situation. Such benign presences offering aide have been reported by numerous other climbers from both the Himalayas and other parts of the world, such as climber Joe Simpson, who describes a similar encounter in his book “Touching the Void”, which is about his harrowing efforts to survive certain death in the Andes. Another apparently benign ghost of the Himalayas is said to be the spirit of Sepoy Harbhajan Singh, an army officer with the Punjab Regiment who was assigned to duty at the Nathula Pass, near the Sino-Indian border in 1966. On 4 Oct 1968, Singh reportedly slipped and fell into a stream while escorting a mule and was washed away. A search for his body in the subsequent days was unable to turn up any sign of him, and it was assumed that he had died. Shortly after the search was abandoned, one of the soldiers in his unit allegedly had a vivid dream in which Singh appeared and told the frightened soldier that he was dead, after which he explained in detail where his body could be found. Singh had also said in the dream that he was committed to being a soldier, and would forever patrol the area, before vanishing. The soldier dismissed the incident as just a dream, but had a change of heart when he heard the account of another soldier in the unit who had had the exact same dream down to the location where the missing body could be located. The men then purportedly mounted a search party to investigate the area where Singh had told them where his body was, and sure enough the corpse was found exactly where he had said it would be. Harbhajan Singh consequently received a proper burial with full military honors. The tale only gets stranger from there. In the following days, there were numerous sightings of a mysterious lone soldier on horseback wandering about the area, who was frequently seen by soldiers stationed on both sides of the border. This “ghost rider” was claimed to be the spirit of Singh, who would allegedly appear out of thin air, disappear just as abruptly, and was said to be able to pass through objects or to travel at superhuman speeds. He also continued his habit of appearing in dreams, where he would give military advice and point out remote areas that had been left unprotected and were open to attack by the Chinese, all of which proved to be incredibly accurate. The legend of the ghost soldier Singh grew until he was honored and respected to the point that a shrine was erected for him, which consisted of a three room complex where a bed was made for him and his uniform displayed for reverent visitors to see. Caretakers at the shrine have claimed that the bed sheets will often be crumpled as if someone has slept in the bed even though no one was there, that the uniform will often be equally mysteriously moved or crumpled up, and that the boots will often have mud on them as if someone has worn them outside. This account of a ghostly protector is somewhat reminiscent in some ways of the story of Malaun Post, an Indian military outpost that was evacuated under attack by the Pakistanis in the late 1980s. Allegedly, one soldier named Om Prakash stayed behind to defend the post in the face of the enemy, and when the other members of the unit came back after the skirmish it was found that the still intact post was abandoned, with no sign of the single soldier who had stayed to defend it. Since then, the spirit of Prakesh is said to visit soldiers in their dreams to this day, giving guidance and warning of military threats or impending natural disasters. Not all encounters with ghosts on the Himalayas are peaceful. Quite strange and rather frightening is the account of Mohan Singh, a resident of the Himalayan village of Bemni. In 2013, a BBC writer on a research trip relayed that Singh had told her a very unusual tale indeed. He claimed that one day he had been out in the forest cutting wood when a mysterious stranger appeared and angrily asked him why he was chopping at the trees. He said that at that point the sky had suddenly gone black and the stranger had violently grabbed at his shirt. Bizarrely, the stranger’s fingers were reported as phasing all the way through Singh’s body, as if immaterial. The two allegedly began to wrestle, and during the altercation the enigmatic man was reported as having changed sizes, morphing from the size of a chicken to up to 9 feet tall and back again. When Singh finally broke free and escaped to his village he claimed that he had had a high fever and believed that the spirit had possessed him, after which an exorcism ritual was performed on him. Also rather terrifying is the story of a military post located in the Baralacha La pass, in the Zanskar range of the Himalayas. One tale tells of a trio of soldiers who were trapped at the outpost for two months when they were hit by an uncommonly harsh winter, during which time no one could reach them for a rescue. When the weather got better and help finally arrived, it is said that there was a hunched over stranger at the post in the middle of devouring one of the dead soldiers amid body parts, pools of blood, and other half eaten bodies flung around him. The stranger reportedly snarled and attacked the rescue team, who responded by shooting him down with their weapons. In the ensuing years, other soldiers posted at the site would complain of hearing mysterious phantom whispers or strange voices, as well as screams of agony, and there were occasional claims of seeing the sinister ghostly figure of a man holding a knife. Vehicles passing the remote outpost have also reported being chased by a knife wielding man who will suddenly vanish, as well as soldiers covered in blood standing in the snow, who will call out for help only to disappear into thin air if approached. Skeptics have pointed out that encounters with phantom climbers, ghosts, and other entities in the Himalayas can be explained by the effects of harsh conditions and high altitude on the brain. In such conditions, a combination of weariness, physical duress, being cold and hungry, low oxygen levels, and high altitude sickness can conspire to cause impaired mental function, loss of coordination, poor memory skills, and indeed hallucinations. There is also a phenomena known as the “sensed-presence effect,” also called “feelings of presence,” in which the brain creates the illusion of a ghostly presence under conditions of extreme physical and mental stress, such as in the case of mountain climbers. Can these accounts really be all written off as mere hallucinations or is there something more to it? Other reports of strange, paranormal activity in the Himalayas seem a bit harder to explain. A particularly eerie account revolves around Polish climber and mountaineer Wanda Rutkiewicz, who in 1986 became the first woman to successfully climb K2. Sadly, the wilderness would finally defeat her, when she died in 1992 trying to climb Kanchenjunga. The truly spooky part of the story comes after Rutkiewicz’s death, when her friend Ewa Matuszewska supposedly received a call late at night. When she answered the phone, she could hear Rutkiewicz’s voice on the other end. Since the climber had been missing, Matuszewska was relieved and asked her where she was. Rutkiewicz allegedly replied that she was very cold, but told her friend not to cry, and that everything would be alright. When Matuszewska asked why she couldn’t come back, Rutkiewicz purportedly replied simply “I cannot now,” after which the phone went dead. It would be the last time anyone would hear from the climber. The weirdest part about the account is that the call had occurred after she had died. Similarly eerie is the case of British climber Julie Tullis, who was another well-known female mountaineer who died in 1986 while trying to conquer the summit of K2, one death of many that had occurred on the mountain in the surrounding months. Tullis had suffered severe frostbite and an injury sustained from a nasty fall, and died in the frozen waste near Camp IV. Her body, as well as those of several other climbers who also died on the ill-fated expedition, was never recovered. In 1992, mountaineers Thor Kieser and Scott Fisher claimed that they had been relaxing at Base Camp when they were jolted by a sudden noisy transmission over their radio, which allegedly was the voice of a British woman that said “Camp IV to Base Camp, do you read, over?” This was very unsettling, as no one else was known to be in the area at the time, and certainly no one at Camp IV. What do we make of such varied tales of ghostly paranormal phenomena from the frigid, vast expanses of the Himalayas? It is possible we may never really know. What we do know from such stories is that accounts of spirits, specters, and ghosts are certainly not limited to the typical image of what such a place should be like. As we can see here, they can pop up in some of the most unlikely places, and the Himalayas will likely always remain not only a place of breathtaking beauty, adventure, and local myth and legend, but also of strange spectral phenomena that we may never fully understand. About the author: Brent Swancer is an author and crypto expert living in Japan. Biology, nature, and cryptozoology still remain Brent Swancer’s first intellectual loves. He’s written articles for MU and Daily Grail and has been a guest on Coast to Coast AM and Binnal of America. Do visit their site for many more interesting stories. 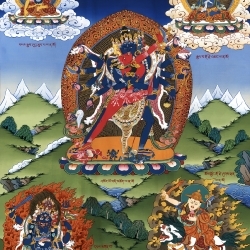 Thank you, Rinpoche and the blog team to share with us the paranormal stories of the high mountains. 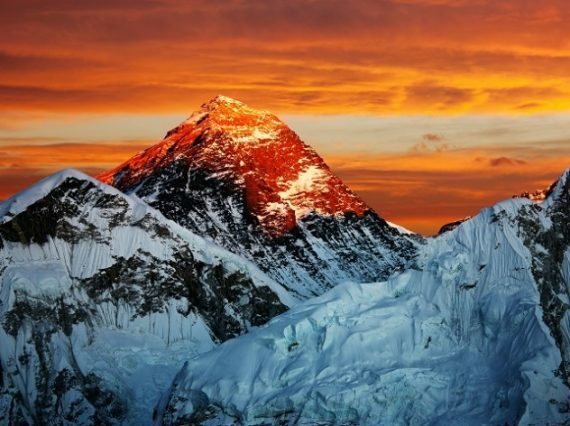 It is very interesting and sad to know that there are so many people perished on Mount Everest during their climb. Many of their corpses are left on the mountain, unable to retrieve due to the dangerous terrain. It shows us how fragile the human body is. Many of those who perished in the mountains are fit people who set out to conquer the world’s tallest summit but they failed. They are among the fittest because it requires a strong body to withstand the stress and strain that they will put their body through by climbing up the dangerous terrain. Hence, we should be wary that we can die anytime and we should not waste any time in doing any activities that will not help us during our death and bardo. These mountaineers would not have expected to die on the mountain that day. However, when karma ripens, there is no escape for them. 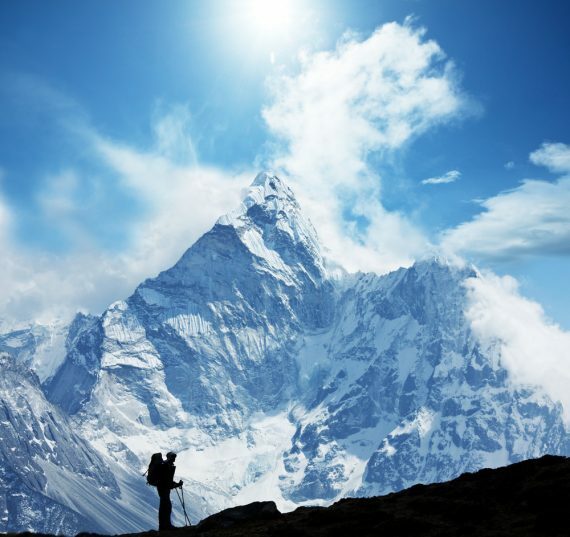 The Himalayas have long been seen by the native sherpas as the realm of numerous spirits . The locals or the sherpas believed those who dies in the mountains without a proper burial are restless spirits. Himalayas is a land steeped in legend and mystery and is famous for trekkers and climbers attempting to conquer this wild place hence death is a constant possibility. The belief in spirits or ghosts is widespread as hundreds of people have died trying to climb remote inaccessible mountains or to reach Mt Everest summit. According to locals, many have experienced some very strange, creepy, unexplainable supernatural phenomena. Interesting read of all the creepy stories in this post. This is the first time I have heard of ghost stories in the Himalaya mountains. I am not surprised there are many spirits in the mountains, just look at how many people had died tragedically while trying to conquer the mountains. They are not prepared to die, they start their expedition with the ambition to conquer the mountains, they did not expect to die there. Imagine what will be their last thought? I think most likely it is the regret that they did not complete their expedition successfully and they did not have the chance to say goodbye to their loved ones. With regrets such as these, they will naturally take rebirth as a spirit. 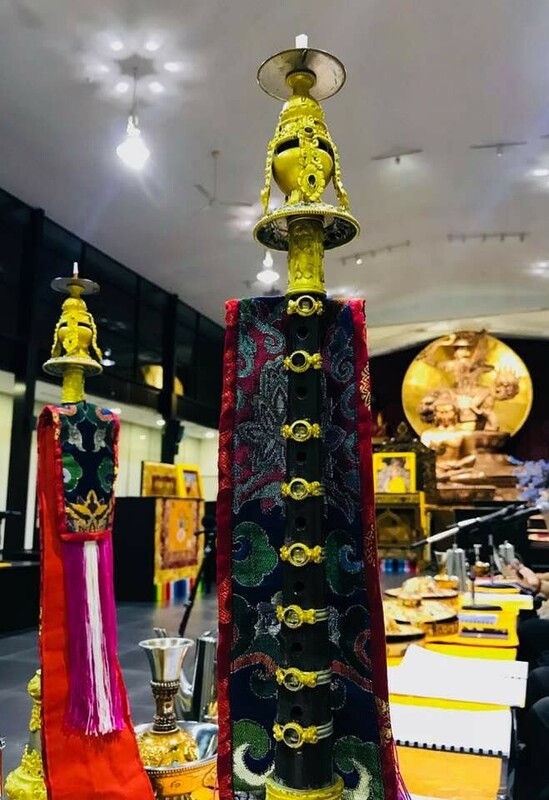 As Buddhists, since we know the last thought when we die will determine where we will take rebirth in, hence, it is very important to train our mind and thought. The uncertainty of our death makes it even more important to train our mind now. We can start to train our mind to think of the Buddha or our guru first thing in the morning and last thing before we go to bed. Think of how compassionate our guru is and be grateful to our guru. As we do that every day when we are in a dangerous or threatening situation, the first thing we have in our mind will be our guru who will be able to guide us. With the number of people who have died on those mountains in the past several centuries, I am not at all surprised the area has some hauntings, whether the spirits are peaceful, helpful, terrifying, or mean. I’d be very curious to see if there are any stories related to Mount Kailash, as I know many people revere that mountain and the legend that they will be struck down by the gods if they attempt to transverse it. I know a western mountaineer was given the opportunity in the 1980s to climb the mountain but he declined out of respect. I believe his name was Reinhold Messner.